It looks like we're finally getting some answers about Meredith Grey's (Ellen Pompeo) love life on this season of Grey's Anatomy. 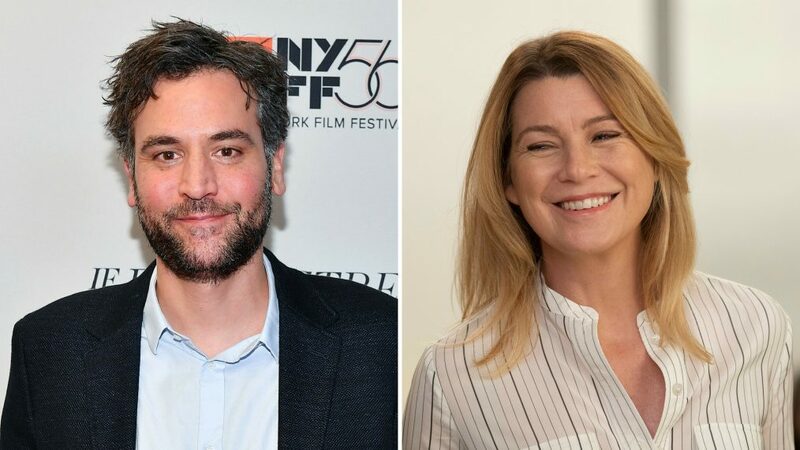 How I Met Your Mother star Josh Radnor is heading to Grey Sloan Memorial in Season 15 as Meredith's newest love interest, People reports. Hey Mer, have you met Ted? In the October 11 episode, Meredith is all dolled up and ready to head out for a blind date, could Radnor be that guy? Fans will have to wait and find out, but it's certainly exciting news for How I Met Your Mother viewers. Radnor's most recent role was in NBC's Rise was short-lived — the show was canceled in its first season. Now, viewers shouldn't necessarily expect Ted Mosby to show up dating the doc, but Radnor's new character would make sense with showrunners' promise to give fans a "season of love." In a sneak peek of the above-mentioned episode, Meredith prepares to head out on her date when her friends take notice. They have plenty to say on the matter — will they sway her resolve? Determine for yourself by watching below. In the meanwhile, fans who speculated something might be going on with Meredith and Dr. Andrew DeLuca (Giacomo Gianniotti) were proven wrong when it was revealed to have been a dream, but that doesn't mean it's still not a possibility. Hopefully Meredith gets her happily ever after — or at least some fun as the season progresses.